The Glenn Beck Review: Why is Glenn Beck freaking out over Egypt and a caliphate? Why is Glenn Beck freaking out over Egypt and a caliphate? The following piece by Brad Knickerbocker is being republished here with the permission of the author. 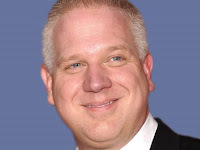 It was originally published in The Christian Science Monitor, and its conclusions support analysis that have been conveyed here previously about why Glenn Beck is so controversial. Beck uses controversy to his financial advantage. Caliph: A successor of Muhammad as temporal and spiritual head of Islam. Caliphate: What Glenn Beck warns could take over much of the western world. It’s not a “conspiracy,” Glenn Beck says, but just a group of “like-minded” organizations and individuals – from the Muslim Brotherhood to the AFL-CIO (with assorted other fellow travelers in a "red-green alliance") – working together to “overthrow and overturn stability.” And he has the charts, graphs, and a map to prove it. If such protests become "contagious," he warns, they will "sweep the Middle East" then "begin to destabilize Europe and the rest of the world." Beck’s latest theory about where the freedom revolution in Egypt is headed may resonate with his hard-core followers. But it has some conservatives wondering if he’s gone off the deep end. William Kristol, editor of the Weekly Standard and a regular Fox News commentator, welcomes the debate among conservatives over the political revolution in Egypt. “It’s a sign of health that a political and intellectual movement does not respond to a complicated set of developments with one voice,” he wrote recently. “For the first time, you began to see a lot of really serious conservatives taking on Beck and people like that, and saying, you know, your theories are just wacky,” Brooks said. Beck, whose signature image is being outraged at the left (tinged with conspiracy theories), apparently has decided to push his brand ever farther. Do his ratings have anything to do with that? From January 2010 to last month, the number of his viewers dropped 39 percent – the steepest decline of any cable news show. As is typically his style, Beck doesn’t address the arguments of his opponents but goes after them personally. "People like Bill Kristol ... I don't think they stand for anything anymore," says Beck. "All they stand for is power. They'll do anything to keep their little fiefdom together, and they'll do anything to keep the Republican power entrenched." And in his latest monologue about “the new world order,” Beck had this to say about his critics: “You want to call me crazy? Go to hell. Call me crazy all you want." All of this has become great fun for others in the commentariat. There are a lot of people working everyday that don't care one damn bit that government is even a word. Believe me they don't watch news and they concentrate on the job, nothing except a disaster will stop them from doing what they are doing, sure they will listen to you but their opinion is that they DO NOT CARE how Democrats are screwing up America or what Mr. Glenn Beck points out. In the Blackboard description he simply forgot that there are ordinary people involved in the protests, many that joined later came out of a business to follow the yellow brick road, when they return to a business they will again be in the dark closet you might say until they exit the business again. Their objective is simple they need to work to earn a living and that may mean pay taxes also so they are more interested in what tax and how much rather than what any government official is planning to do with tax money. Officials work from the bottom up, their voice is the voice of progress. Without that the banks and big business would not be able to expect growth. I am sure Egypt will continue to have growth. Jonalist, Beck doesn't "simply forget." Beck is a manipulating propagandist, and his manipulation has you FEELING that Beck is right even though experts on the Middle East have pointed out that Beck is "profoundly ignorant" about the politics of the region.